We hear constantly how money has become so ungraspable, abstract and immaterial within globalized economy. Money and its history indeed seem to be characterized by a slow but radical passage from an object’s materiality into its absolute immateriality. Facing the loss of a physical object, how can one fulfill the promise of making a choreography for money; devising its distribution in time and space, the way one wished and envisioned? What is left to make or demand movements for? 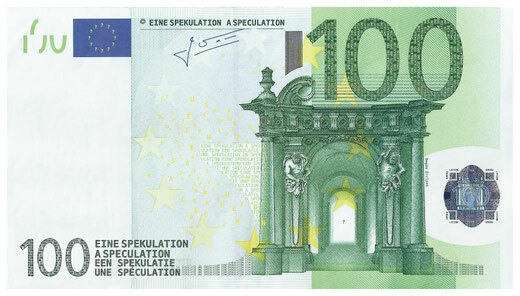 Eine Spekulation / A Speculation is a choreography for the Euro. Performers and audience speculate together about the meaning and physicality of the currency. A fictional Union is constructed, poetic and humorous relations emerge. How will the new processes of mobilization materialize? A production by Begüm Erciyas and Platform 0090. Supported by the NATIONALES PERFORMANCE NETZ (NPN) Coproduction Fund for Dance, which is funded by the Federal Government Commissioner for Culture and the Media on the basis of a decision by the German Bundestag.